What was once a one-night extravaganza, bachelorette parties have turned into a destination trip to spend with your best gal pals. From east to west coast and everywhere in between, we have compiled the best Bachelorette Party Ideas in the US. This guide will help you find the right city for you and your lovely ladies. Where to wander: In New York, anything is possible, treat you and your ladies to a fun pole-dancing class at Body & Pole. Where to eat: Vintner Grill an American Bistro or Tacos & Tequila for Mexican style with a rock’n’roll twist. Where to stay: The iconic Caesars Palace for the epitome of a Las Vegas experience or the New York-New York Hotel, for incredible decor and impeccable attention to detail. Where to party: Hit Frankie’s Tiki Room for little umbrellas and perfect tiki decor or freeze in Minus 5 Ice Bar, the only place where you will find ice in the desert. Where to eat: Dine on the water at The Rusty Pelican Miami or “kick back, eat well and stay while” at the Sugarcane Raw Bar Grill. Where to party: LIV and Basement will have you dancing (and bowling) the night away. Where to wander: Take a walking tour through the Art Deco district, where historic Miami comes to life. Where to stay: For the edgier bridal party, Hotel Modern is the perfect stay. While Hotel Monteleone is a more elegant stay. Where to party: Bourbon Street, Bourbon Street, Bourbon Street. Simply taking a stroll down this infamous street will make for an amusing night. However, if you are specifically looking for live music, Three Muses is a perfect spot for a New Orleans Bachelorette party. Where to wander: Hop on a New Orleans Airboat Tour and explore the swampy side of Louisiana. Where to eat: Dine at EiO & THE HIVE for locally sourced organic foods. Where to stay: Since opening the Thompson Nashville is the talk of the town or book a room at the Westin Nashville, knowns for its rooftop pool, lounge and views. Where to party: Since there are so many awesome bars and things to do in Nashville, bar hopping has become a fan fav. Some great bars to definitely stop in are Acme Feed & Seed and Tootsie’s. Where to wander: The Pedal Tavern aka the “ultimate bar crawl” is a must! Where to eat: Mrs. Wilkes Dining Room is true southern casual dining while Crystal Beer Parlor emits true Savannah history and culture. Where to stay: Airbnb’s in downtown Savannah is the way to truly experience the historic city. If an Airbnb is not your style, B Historic Hotel has minimalist decor and will make for a great stay. Where to party: Find live music, laid-back vibes and Gothic decor at The Jinx. Or practice “the art of cocktail” in the chic 22 Square Bar. Where to eat: The Boathouse on the Pier will create the perfect ambiance as you sip your cocktails and marvel at Tahoe’s beautiful scenery. Where to stay: The Basecamp is a quaint hotel, where each room has their own unique charm and decor, along with a twinkling courtyard with games, a bar, fire pit and hot tubs. While Tahoe Lakeshore Lodge and Spa will fill all of your luxurious needs. Where to party: The Beacon Bar & Grill has constant live music, or opt for a boat ride with all the girls exploring Tahoe’s beauty. Where to wander: Zephyr Cove has all day summer activities, volleyball & water sports, and even snowmobiling in the winter months. Where to eat: Don’t overlook the Coldroom, where the entrance is actually at the exit. This industrial basement cold room restaurant is a hidden gem. Where to stay: Can’t get better than Hotel 10 with its ideal location. Where to wander: Want to try something completely out of the ordinary? Aquamermaid offers trial mermaid classes for bachelorette parties. Yes, I said mermaid classes. They will also do a photo shoot of you and your besties. Where to eat: Ever dreamed of fried chicken, ham, cheddar cheese, and local Colorado honey butter, all on a delicious biscuit? Denver Biscuit Company has biscuits that are truly a mile high. Where to party: Avanti is your one-stop-shop for the ultimate happy hour mixed with food truck styled cuisine. Also, stop by the View House for rooftop fun. Where to wander: If your looking for Bachelorette Party Ideas full of adventure, take a trip to the Rocky Mountains and hike to Crater Lake. Where to stay: Acme Hotel will satisfy your lifelong dream to live like a rockstar. Where to party: At Apogee, you can enjoy magnificent views of the city of Chicago while sippin’ on a smokey and cloudy cocktail. Where to wander: Visit the Skydeck Chicago, where you can step out into an extended glass box At 1,353 feet in the air. 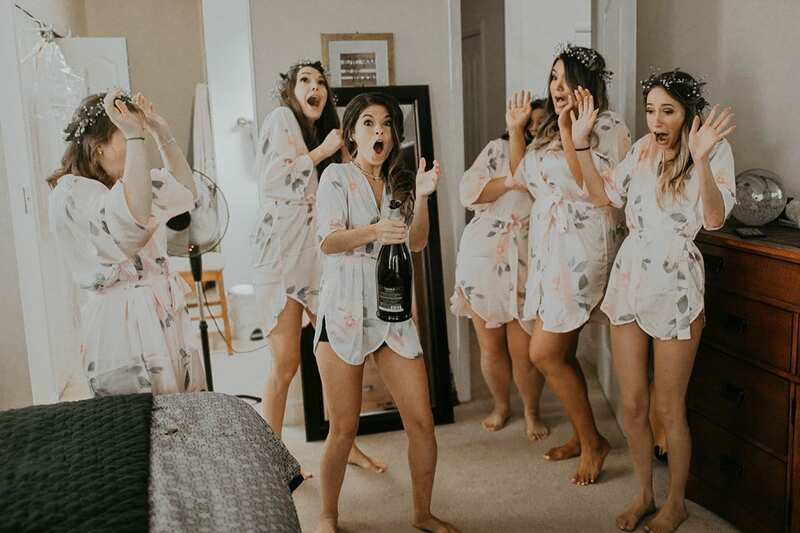 These Bachelorette Party Ideas will have you and your bridal party making memories that will last a lifetime! I am Madison Good, born and raised in Yorktown Heights, New York. After graduating high school, I headed to Hofstra University to pursue a career in Public Relations, specifically Fashion PR. I am currently a Junior here at Hofstra with a major in PR and a minor is sociology. I love fashion and the freedom of expression it instills in each and every one of us.